Happy Monday, everyone! I hope you all had a wonderful Christmas! I enjoyed a whole lot of time with immediate and extended family, eating, drinking, shopping, eating, and hanging out. And did I mention, eating? My sweet daughter celebrated her 17th birthday just two days after Christmas, so it was a very busy week of festivities! I’m honestly a bit relieved (now that the last guest has headed home) to get back into a regular routine around here. I’ll be even more relieved when I can get back into my regular sized pants, after all of that eating. I had some big plans for my remaining few days off of work, but I think I’m going to spend that time relaxing and spending some quality down time with my kiddos during their winter break from school. made it into the top 12 homes vying for a spot on the 2014 holiday house walk! Pinched myself, I did! I’m not holding my breath that I will get the spot (when you see the other ladies that made top 12, you will understand why), but I was truly honored just to be considered. This gave me a bit of a confidence boost and the motivation to keep moving forward with my blog and decorating my home to suit my family and the way we live. We are nearly finished with the dining room makeover (I’m excited to share that with you soon), and now we’re ready to turn our focus onto the next room on our list. Necessity has dictated that room will be the main bathroom in the house, as it gets the most use and needs to be functional for our family. Contrary to how horrible this I phone picture makes it look, it doesn’t need a lot, mostly just cosmetic updating, but will still require some time and energy to finish. 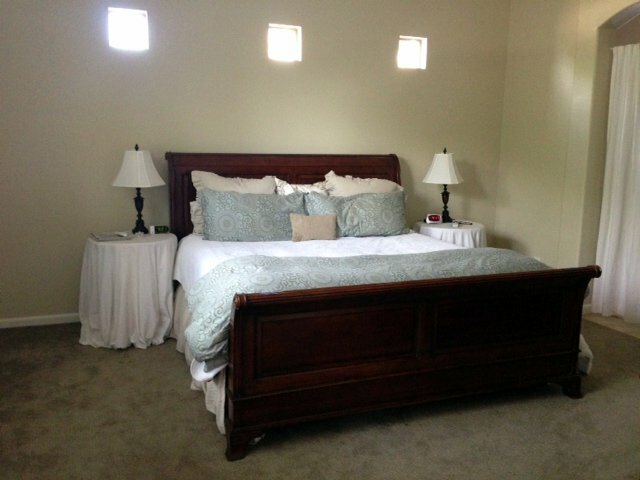 Hubby and I would also like to do a little refresher on the master bedroom, as it just needs a few small tweaks (artwork, window treatments) to get us through until we can devote more time and attention to fully updating it. This space has great potential, we just haven’t had the time/energy to personalize it any more than what you see in the pic; which isn’t much. No matter what room we’re focusing on, the common theme in our house is the need for organization and refreshing. In our rush to get moved in, things got crammed into whatever nook and cranny they would fit, and that’s just not going to work for the long term! So we will also be cleaning, organizing, and refreshing, while we work on tackling the master bedroom and the main bathroom areas. To be honest with you, I’ve never been so excited about cleaning and organizing in my life! I think I’m just craving the sense of order and calm that I know comes from having a place for everything, and everything in its place. I’m looking forward to the New Year, with all of its promise and all of its challenges; and I hope you will continue to follow along with me on this blogging/home renovating adventure! Congrats Amy on making the top 12 in the home walk, I’m not surprised your home was very beautifully decorated for the holiday. 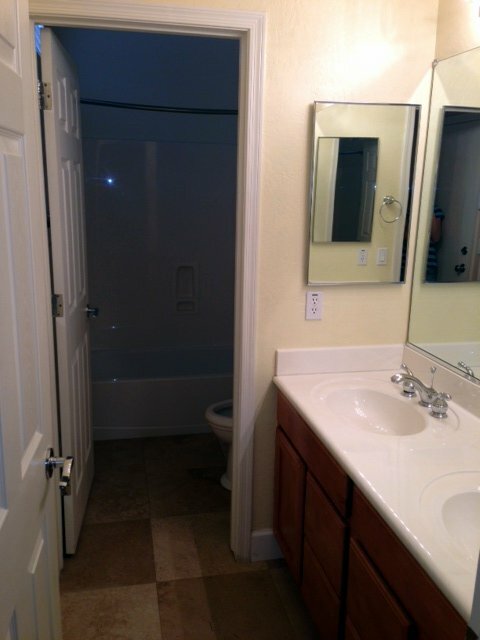 I’m looking forward to seeing your bath and bedroom re-dos.